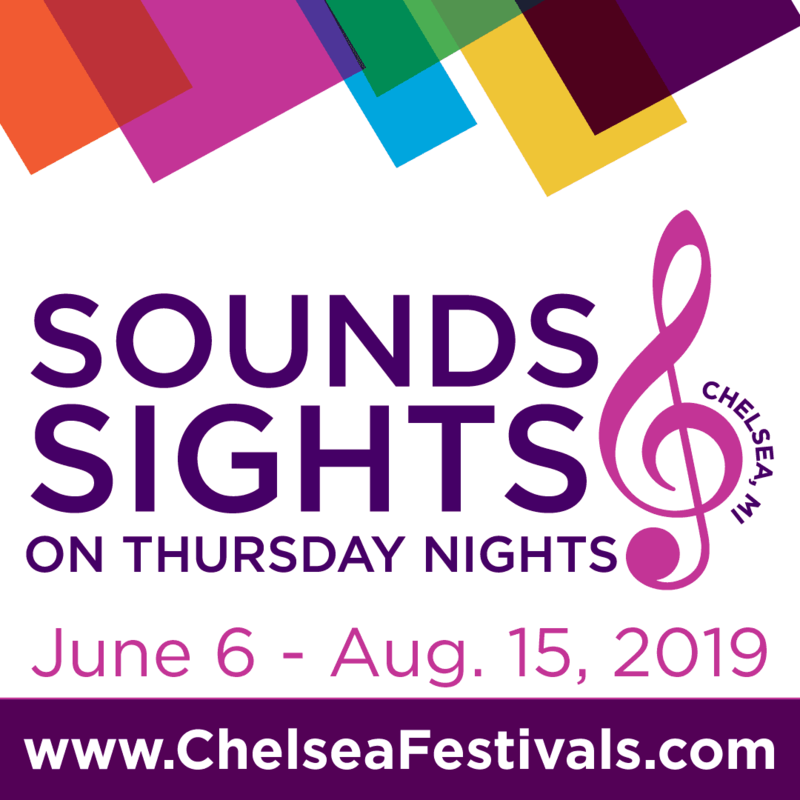 Sounds & Sights on Thursday Nights performances are held in Chelsea, Michigan from June 6 to August 15, 2019 from 6:30-8:30 p.m. Musical acts from across the spectrum — folk, bluegrass, Celtic, jazz, classical, country, Latin and everything in between – perform at 10 stage locations around the downtown. Performances take place outdoors at various spots throughout downtown. Also explore the annual SculptureWalk Chelsea throughout downtown! Sounds and sights on Thursday Nights, Chelsea, Michigan.